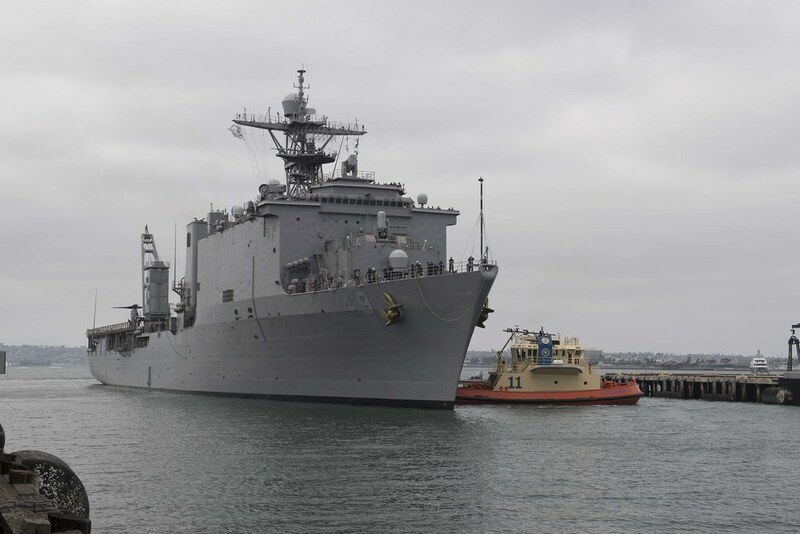 SAN DIEGO - Fleet Week San Diego began to take shape as the amphibious dock landing ship USS Harpers Ferry (LSD 49) moored at Broadway Pier, Oct. 23. Fleet Week is a week-long event taking place Oct. 22–28 that provides an opportunity for the American public to meet their Navy, Marine Corps and Coast Guard teams and experience America’s sea services. During Fleet Week, service members participate in various community service events and showcase capabilities and equipment to the community. This year Harpers Ferry and the Hamilton-class Coast Guard cutter Mellon (WHEC 717) are featured on Broadway Pier and will be hosting public ship tours throughout the week. Service members will also be engaging in 19 volunteer events around San Diego that include Habitat for Humanity events, river clean-ups, helping at local food banks and feeding the homeless. Fleet Week San Diego is free to the public and includes many events such as the annual enlisted golf tournament, a military family tailgate and viewing party for the Navy versus Notre Dame college football game, an Innovation Zone, SDMAC breakfast, and much more. One of the annual Fleet Week events is the Enlisted Recognition Luncheon hosted at Sea World. The event hosted 450 Sailors, Marines and Coast Guardsmen that serve in the San Diego area. Learn more about the week's events and shipboard tours on the Fleet Week San Diego website.